HOPE PLACE SMALL GROUPS ARE CENTRAL TO THE BODY OF CHRIST AS THE SPINE IS CENTRAL TO THE HUMAN BODY! 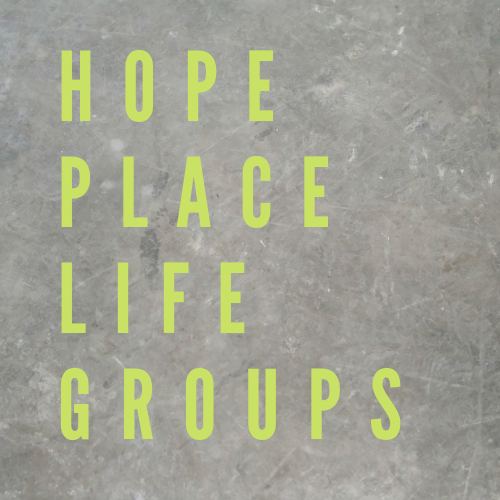 Hope Place Small Groups begins in April but sign up starts in March! The groups will meet in various locations around the Omaha area. Experience Christian community, grow spiritually, build friendships, celebrate life, break bread, share concerns, carry burdens, pray together, and have fun! The Christian life was meant to be enjoyed together not alone. Embrace the community! Don't miss out on the first Men's event of the year! Food. Fellowship. Fun. It's not too late to sign up. Just send us a message through our Contact Us link, letting us know you will be coming and pay at the door. Cost is $5.